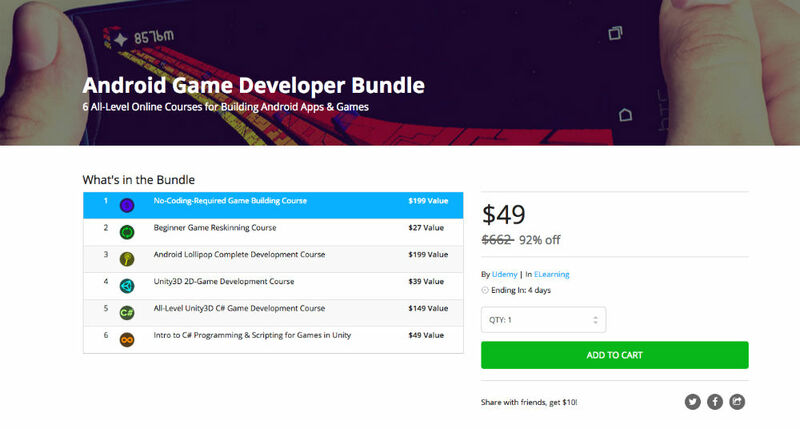 Taking place over on the DL Deals Store, you can grab this Android Game Developer Bundle for just $50, which is valued at over $650. The bundle includes six courses in total, providing users the knowledge and opportunity to become a mobile developer. Inside, buyers will find more than 50 hours of work to complete, covering everything from game re-skinning courses to Unity3D C# game development courses. If building the next hit Android game was on your bucket list, this might be a good place to start. As a note, a bonus deal is taking place for the ZeroLemon 18W Quick Charge 2.0 wall charger for just $15. Regularly priced at $30, if you need a new Quick Charge compatible charger for your devices, this is a good deal. If you are a new developer, follow the link below to get started.